We ask all guests to check in from 2.00pm to 8pm and check out by 11.00am. There will be a cancellation fee of one nights stay if less than 48 hours notice is given. We offer a full breakfast (including vegetarian and gluten free) for all guests and ask that you inform us of any needs when booking your stay. Breakfast is served between 7.30am and 9.00am 7 days a week in our lovely dining room situated on the first floor next door to our residents lounge . We can provide a high chair if needed. We are happy to suggest places to visit or dine so do not hesitate to ask. We have limited car parking (first come first served) but have a very reasonable pay and display carpark 50m from the building. You are more than welcome to drop your luggage off first before parking your car. Our rooms are situated on the second and third floor of the building to make the most of some of our beautiful views. We can provide luggage assistance if needed. We are happy for dogs to stay as long as they are house trained and of a quite nature. You will need to contact us before booking to discuss and there is an additional £5pn charge per dog. We also have a garage on site where we can store bikes, golf or fishing equipment if needed. All of our rooms at Portland House are non smoking. 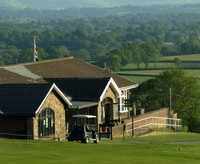 Golf : Iam a member of the Llandrindod Wells Golf Club which was designed by Harry Vardon in 1905. 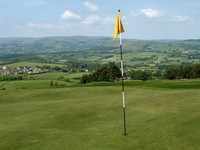 Situated above the town it is best described as an 'upland links' course. It is approximately 5800 yards with a par of 69. 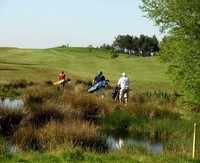 We can accomadate groups of golfers up to 8 and have two twin rooms with a shared bathroon for groups of 4. Because of our relationship with the club, we can book your rounds for you at a reduced price, offering 20% off the price of the green fee at the time of booking. Please inform us of your needs when contacting us. Our Victorian Tea Room is open Mon-Fri 9.30-5.00pm and Sat 9.30-4.00pm serving Tea's/coffee's/cold drinks/afternoon and cream tea's/cakes/ and various hot and cold food. We hope you will pop in and enjoy our local produce during your stay.